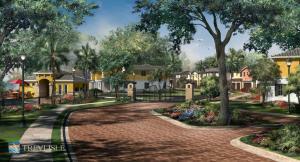 Trevi at the Gardens is everything that you could imagine when you hear the words charm, elegance and casual living. 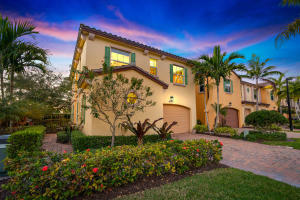 Located in charismatic Palm Beach Gardens this community welcomes you with a grand entry fountain and gated enclave along an astoundingly landscaped road. These homes consist of three to four bedroom models with grand walk in closets, outstanding eight foot paneled doors, and marble window sills. These homes include astounding detail starting with impeccable fenced yards, glamorous granite countertops, all stainless steel appliances, impact resistant glass, sensational iron stair railing, and remarkable Italian architectural accents. The bathrooms are nothing short of incredible with his and hers sinks, roman tubs, and beautiful marble countertops. Trevi at the Gardens features many gorgeous sights within the community such as the grand pool fountain, soaring lake fountains and natural flora and fauna. Enjoy the pleasant Florida weather on the enamoring covered front porch or the delightful rear covered porch. The charm doesnt end when you leave the gates of Trevi at the Gardens because Palm Beach Gardens has endless delightful shopping and dining choices minutes away at Downtown at the Gardens, The Gardens Mall and Legacy Place. South Floridas phenomenal crystal clear blue ocean and stunning beaches are just a short drive away. There are many costal parks, nature preserves, golf courses and State Parks nearby that are fun for all ages. 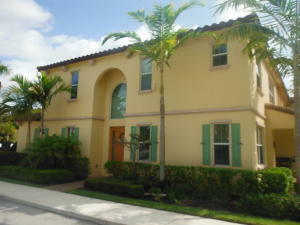 Trevi At The Gardens in Palm Beach Gardens is really a wonderful location. The Palm Beach Gardens location is amazing. But, if this isn't the community for you, you might like one of the other local communities like Landmark or Bristol Club or Frenchmens Landing that are located here as well.